There’s less than two months left before the election and in the race for the Presidency, President Obama leads in polls over the GOP challenger, Spiff Romney. A couple of days ago, Romney made a huge gaffe as he criticized the Obama administration about sympathizing with the armed militants who stormed the U.S. consulate in Libya in protest over an anti-Islam film and killed ambassador Christopher Stevens. Turns out Romney “shot first and aimed later”, as he was completely clueless about the timeline of the events. It turns out both Secretary of State Hillary Clinton and President Obama harshly criticized the attacks and Romney looks like a complete doofus. Which reminds us of another doofus, who ran the show from 2001 to 2009. President Bush puts in a phone call to his father, former President George H.W. 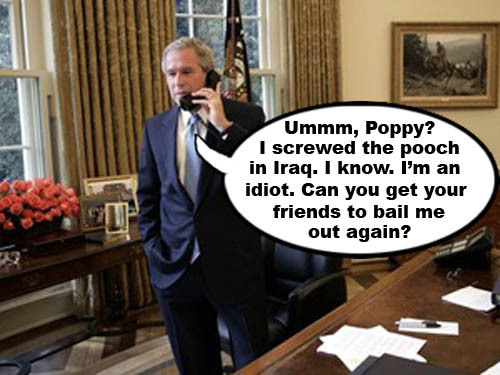 Bush, for a little advice on 'presidentin'. The 100+ temps keep-a-coming here in Cactus Corners. Soon it will be in the 90s. Whew! Here’s the unrelenting forecast for this week. The Republicans saved the biggest surprise for the last night and they did not disappoint. 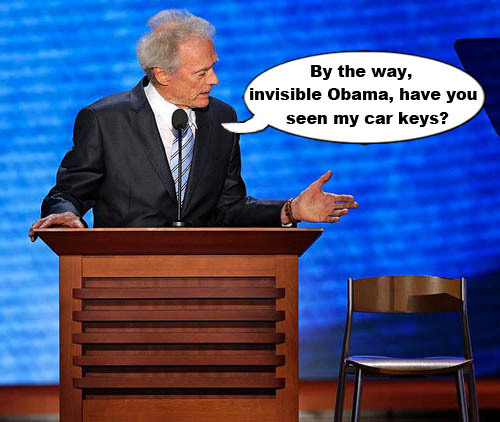 Legendary Oscar winning actor, Clint Eastwood, took center stage and gave an empty chair the thrashing of a life time. Actually, in true theatrical fashion, the empty chair was supposed to represent President Barack Obama and Mr. Eastwood, at least in his mind, represented all his rugged heroes he played in his westerns and police dramas rolled into one. Mr. Eastwood then went on to ramble incessantly for twelve excruciating minutes In the end, Mr. Eastwood proved to be more the angry old man from Gran Torino than Dirty Harry. Here’s one of his more memorable moments. Actor Clint Eastwood had some memorable senior moments while giving his speech at the Republican National Convention. 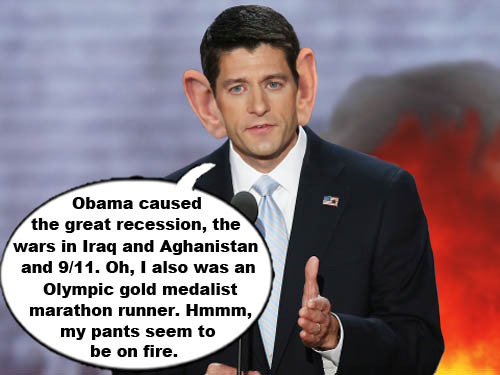 Yes, facts have been nothing but a bother for conservative Republicans in the joke that is Con-a-thon 2012 and finally Spiff Romney vented his frustration at the convention. 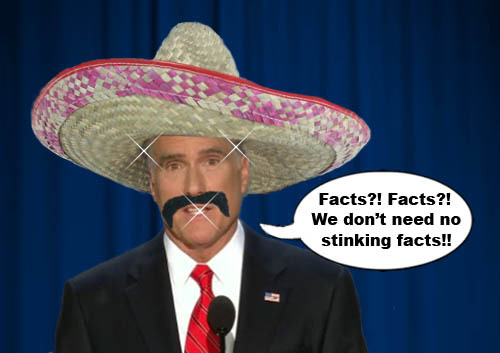 GOP nominee, Spiff Romney, expresses his disdain for facts which may get in the way of his winning the presidency.